What are the Rules of Money? Money like every other facet of our lives is governed by a set of rules that players have to learn in order to achieve success. These laws are universal and belong to the world of money just like gravity belongs to the world of physics. These are a few rules of the money game, some written and others not. They evolve over time and are brought to life by the players themselves. I will present you with 10 Rules of Money in this short essay. They are not the only rules or laws that Money listens to, but they are very common and all successful entrepreneurs are familiar with them. Like Baseball and Chess, Money is a Game. The first things you have to accept, learn, and understand about Money is that it is a game. Surprised! Many budding entrepreneurs take too long to discover this. Have fun playing the money game and you will enjoy it more. Don’t be like Sisyphus rolling his rock up the hill. Games are for fun. Pace yourself. This game is long and the competition is brutal. People who make Big Money know this very well. Learn to play with money and be comfortable with it so that Money becomes comfortable with you. When money finds you more attractive it will stay around much longer! Have you set goals for the upcoming season? Would you want to be the best player, or are you happy with mediocrity? Maybe this game is too rough for you? Maybe you are not ready to play this game! Lack of training and poor financial fitness are sure signs that you could sustain serious injuries. 3) “Maximum Achievement” by Brian Tracy. You can attend evening courses at all the major colleges and university of any town or city. There is enough material online on this subject to last you a lifetime. Start reading real paper books on the subject of money. Do you know what your level of Financial Fitness is? Money is a Doubles Game. This is one of the most important Rules of the Game. The object of the game is to double your money. Let me explain this. If you have $1000.00 in the bank, under your pillow, or in your hand, you are 10 DOUBLES away from 1 Million Dollars. This means that if you double this $1000.00 only 10 times, you will be a MILLIONAIRE. This is not some crazy money making scheme. This is not a Get-Rich-Quick scheme. NO, this is simply the facts of Mathematics. $1000.00 ; $2000.00 ; $4000.00 ; $8000.00 ; $16,000.00 ; $32,000.00 ; $64,000.00 ; $128,000.00 ; $256,000.00 ; $512,000.00 ; and the #10 double … $1,024,000.00. There you have it. Double your money 10 times and you will have $1,024,000.00 in your hand, … in the bank, … or under your pillow. Sounds fairly easy, right. It’s Not. It requires a lot of hard work, persistent effort, and learning the skills to get there. If you did not know this, you probably don’t have all the money you need. Money for you is still a struggle. The other side of this coin (pun intended), people who have money and are comfortable with it have known this for a very long time. Do you hate money, if so, money is not going to be attracted to you? You have to learn to love money. Money, itself, is not evil. Money is an accepted payment for goods and services. It can be used to pay off a debt and relieve you of this burden. If you view money as some dark and mysterious monster how can you ever hope to attract money into your life? Hang Around With People Who Make Money. If you want to learn how to build a house, hang around people who build houses. If you want to learn how to play Basketball, hang around people who play Basketball. Same goes for money. Become friends with people that are financially successful. A word of caution here. If you are starting out as a new business owner or a young entrepreneur, try to befriend business types that are a few steps above you. If you have a net worth of $10,000.00, don’t expect to spend the day with people who can afford to hire pilots, to land the helicopters they own, on the decks of their yachts! However, follow these successful business leaders. I don’t mean in a physical sense. I mean, learn about their lives. Read their biographies. Find out who they follow. or 3) sparing. Being frugal means being smart with your money. Don’t throw it away after you’ve worked so hard to earn it. Don’t travel First Class if you are earning Economy Class Dollars. Are you beginning to see why I described The Money Game as a Brutal sport that causes many serious injuries? More reasons to maintain a very high level of Financial Fitness. Perhaps you are living above your means. We are all cocky and bullet-proof until we get that good punch in the proverbial face. Living within your means can teach you to be frugal. 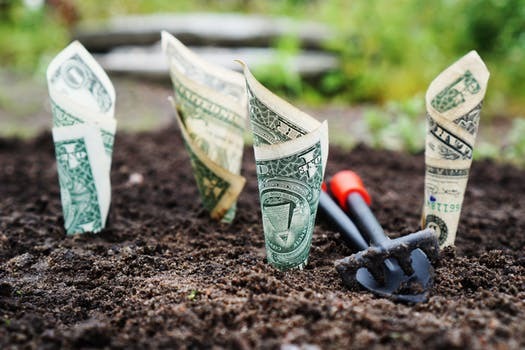 A Savings Account is a deposit account held at a Bank, Credit Union or other such Financial Institution that pays interest on the amount of your deposit. This interest can be calculated daily, monthly or yearly, but they are usually annualized. For instance, in Canada, when you open any type of account, you will be given a pamphlet with all the “legalese” that pertains to the said account. Here I am only referring to a basic Savings Account in the effort of introducing the importance of saving your money. The adage, “saving your money for a rainy day” is one well worth considering. Budgeting and Money Management, 101. I know that living in today’s economy can be very challenging. Low paying JOBs are just that. J. O. B. Sound familiar. Just Over Broke. Do you Budget your money? Do you have a list of your monthly expenses? Do you know how much you earned last month? 10% of your net earnings should be headed for your savings account. 10% of your net earnings should be headed for your savings account. If you’re not saving for your future, who will. Not much point having a Savings Account if you are not going to be making regular deposits. This is the Monster that will come to eat your children. Debt is the ball and chain tied to your leg. Debt is the rope around your neck. Debt costs money. Credit Cards and Personal Loans will rapidly destroy your efforts. 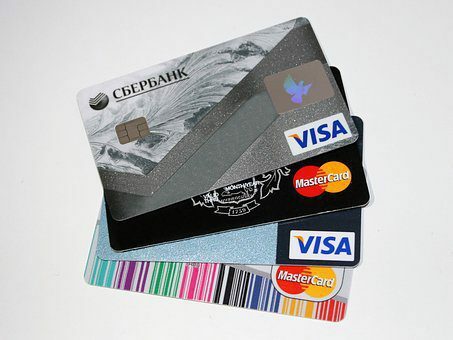 Major Banks and Financial Papers report that 47% of Canadian Credit Card holders are carrying credit card debt. In 2015, BMO reported that 34% of cardholders don’t pay off their credit card bills every month. Let me scare you a bit. If you pay only the minimum payment of $186.00 per month, it will take 92 years and 2 months to clear this debt! If this does not scare you, perhaps you should check your pulse! If you can calculate the amount of interest paid to clear this debt, you move to the front of the class. Should be an easy one for Economics and Mathematics Millenials. Stop wasting your time listening to and watching stupid TV programs about the end of the world, depressing News stories, and other similar garbage. Negative thoughts and negative people chase away money and the people that can help you on your financial journey. Learn to value your time. Wasting your time is worse than wasting your money. You can earn more Money tomorrow, but yesterday’s 24 hours are gone forever! Study the People that Make Money. These are the superstars of the sport. These are the leaders of the business world. Warren Buffet, Bill Gates, Elon Musk, you get the picture. Buy their books, read their biographies and subscribe to their newsletters. These purchases are an investment. You are investing in a Financial Education. When you own a company, Educational Materials and Courses can often provide tax benefits. Check the laws that apply in your Country. Get to know and hire a CPA (certified professional accountant). They spend their days learning and applying the laws that govern money in your Country. This is much too involved and complicated for you to spend your days trying to understand. Get out there and make money and they will gladly count it for you. Don’t make the mistake of calling them “bean counters”. They will not count your beans but will surely be very beneficial at tax time. Make money, hire people, get yourself in a money circle and soon money will be knocking down your door. I have included 10 easy to understand, simple to follow, laws or rules of the Money Game. They are by no means the only laws that you must learn and practice to achieve financial success. If you have any comments, questions, or suggestions about The Rules of the Money Game, I would be very interested to hear about them. Perhaps I can help you in some small way to ease your journey to Financial Freedom. Please leave these comments in the space provided below. Great rules! I enjoyed reading your helpful hints. I agree with you that you should hang around people who make money. You can learn from them. See what they do to be successful and learn from their mistakes. Thanks, Dinh. It is very important to befriend accomplished mentors. Mentors are an effective means of learning. Which of these rules to you find the most useful? Which ones are the most difficult to follow? These are not the only rules that Money listens too. Do you have any Money Rules that you can share? Good Day, Mique. Thanks for dropping by. Your comments are greatly appreciated.This my interpretation as well, I do not view being frugal as cheap, but as a wise means of spending the money, we work so hard to earn. being ‘frugal’: I name it economical with foresight … is an excellent definition of frugal as well. Thanks. I know many people who make lots of money and are very frugal. But one of the rules to attract wealth is to be generous with others. Not in a stupid way, like “all the drinks are on me tonight!” but in a helpful way to people in need. One of the people I know who has earned a lot of money is always helping people out. I also agree that reading those books listed is a definite help. I have both “Think and Grow Rich” and “The Power of Positive Thinking.” I would also recommend reading “The Millionaire Mind” by Thomas J. Stanley, PhD. That book offers insight into the minds of millionaires, how they earn money (or sometimes lose it), how they see money, and how they treat it. And as for credit cards, just avoid them altogether when you can. They are bad news, period. This is one of the harder rules to follow since credit cards and their advertisements are everywhere. I avoid them these days. And also, your rule about THE END OF THE WORLD is dead-on. I watch very little on television. If I want to see any shows I like I go to Netflix. I refuse to watch the news, read it, or even listen to it if I can avoid it. People say that just because I don’t watch the news doesn’t mean that the bad stuff is not happening. I say I don’t need to feed on other people’s pain and suffering. Anyway, I did not come here to be a downer. I also agree that 10% of your net earnings should be earmarked for savings of some kind. This is probably the hardest rule to follow, at least for me. Again, Paul, this article is right on! Good work! I look forward to reading more from you. I agree totally, Linda. True success is sharing the bounty you have earned. I can tell by your comment that you are an avid reader. Thanks for suggesting “The Millionaire Mind”. 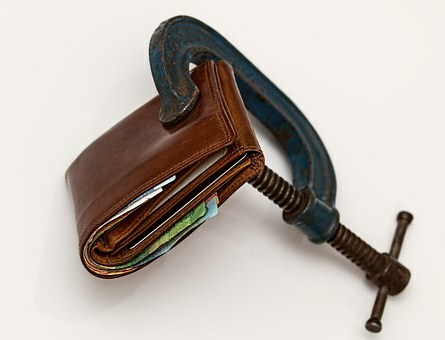 Being frugal means using your money wisely, and while credit card debt is to be avoided like the plague, using them as a transactional tool is an efficient means of payment. If you cannot pay off the monthly balance (frugal), you need to learn about budgeting. These “Rules of Money” are only a few of many that can help us all become more intelligent consumers. It’s not possible to always live a perfect life, but it’s nice to have a plan. The benefits of learning through reading seem to always pop up. Thanks for stopping by. This is a really great article and I agree with what you said. However, would you agree that not all debt is bad? I’ve read in a few financial books that if you can use debt as an investment that will make money back, then this is when it’s good debt. I’ve also recently read a great book called “Money” by Rob Moore. I’d highly recommend it! Thanks, Joshua, for your comments. I do not believe that all debt is bad. For instance, there are very few people that can purchase everything “in cash”. Debt is bad went it takes over your life and you cannot payback the amounts you have borrowed. I agree with you, that debt for education, real estate, and other similar items can be used for gain. Bad debt is usually Credit Card debt and Personal Loans borrowed for things we really cannot afford. It almost impossible to have no debt in today’s Financial System. If you can control your debt by paying it back on time, and use it to advantage, then it can be good debt. If you cannot meet your monthly obligations and your numbers are out-of-control then it is bad debt. I have not read this book but I am placing it on my list. Thanks for reading my blog. Hope this clarifies my position on debt. Also, remember that when you are younger you can afford to take more risk.